Join the C.L. Taylor Book Club! You’ll only hear from me a couple of times a year so I won’t clog up your inbox either. Hi How can I get your free book? or is it just if I new signings? If you join my book club a link will be sent to you in an email shortly after you join. The link will allow you to download the story in a variety of different formats. If you are already a member of my book club you should have received an email earlier this year telling you how to get your free copy. Hi there. I have joined but only just confirmed my e mail. The email with the link to the story should be with you within 24 hours. Thank you for your reply but I don’t seem to have received this. What e mail address will it come from so I can search my other folders please? Hi there, just read The Missing, could not put it down! My sort of book! Look forward to being part of the book club and reading your other books. Lorraine. Thanks Lorraine, I’m so glad you enjoyed The Missing. Welcome to the book club! Hi! I just read The Escape … well, what a book! Surprises from the first page to the end … something is always happening … Really incredible! I loved! It’s really cool the interaction you have with your fans and I want to congratulate you on the initiative! Since I have a blog about book reviews and stories written by myself and my co-author I could not miss the opportunity to join this club and still have the opportunity to get another small book to read as well as all the news ! I’m sure I’ll read more of your books if I find them here in Portugal! Hi Joana, thanks so much for taking the time to leave me a message. 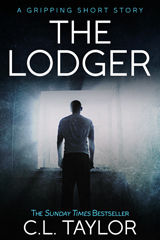 I’m so glad you enjoyed The Escape and hope you enjoy your free copy of The Lodger. Fingers crossed my Portuguese publisher buys lots more of my books! All the best, Cally. Hi! I’m so sad … I’ve found that The Escape is the only book you’ve written here … it’s so sad … well, I have to wait until they decide to publish the remaining books. Joana – they have also bought The Missing so hopefully that will be published into Portuguese soon! I already saw! It will leave February 5th! How nice! Thanks Graeme. So pleased to hear that. So pleased to hear that, Rosie. Thanks for taking the time to send me a message, Lucy. I am so glad you enjoyed The Fear. p.s. Out of interest what ship were you on? I am a Huge huge fan of C.l.Taylor. Look forward to receiving The Lodger. I’ve read to date, all of her books, I’m hooked!! Really happy to hear that, Annika. All the best, Cally.